They've never been out on a date. They can barely speak a civil word to each other when they find themselves in the same room. But Aunt Bertie, who is not crazy, just — eccentric — knows that John and Ellie belong together, and she's doing all she can to further their cause. When Ellie comes to Colton, Idaho, to spend the summer with Aunt Bertie and prove to her parents that her aunt doesn't belong in an assisted-care facility, the confusion begins. Bertie's determination to marry Ellie off to Dr. John Flynn leads to a hilarious string of miscommunications in this delightful romantic comedy. Sierra St. James likes to write romances because she has always been a romantic at heart and hey, where else do you get the chance to use words like wry and brooding? She and her huband have four children and reside in Chandler, Arizona. 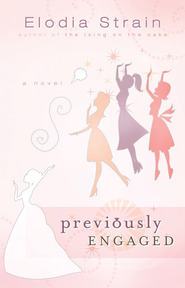 This book is laugh out loud hilarious and is one of my favorites. The author has only written one other book and yet I’m always checking to see if by some chance she has made my year and written another. Definitely worth a read. Great laugh out loud story! This was a very well written book that had wonderful characters. I read it last summer and just decided to read it again and I enjoyed it just as much as the first time. Wonderful read. Thank you. 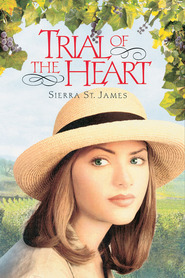 This is my very favorite book by Sierra St. James! I love it!! !